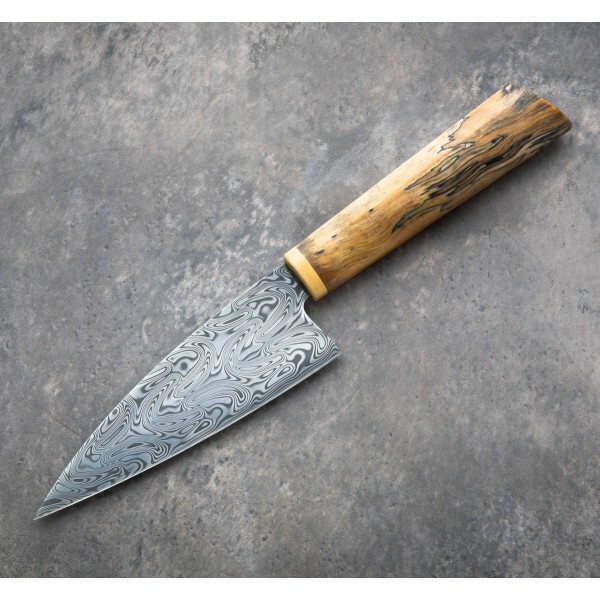 The beloved Medium French Chef by Don Carlos Andrade is taken to another level with Thor™ pattern Damasteel stainless damascus steel and a spectacular spalted maple handle. 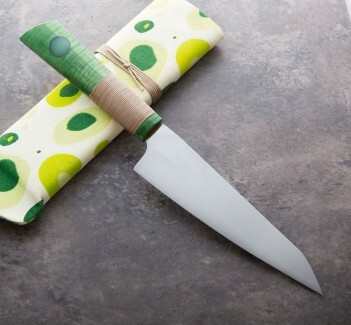 This exceptional steel from Sweden is the perfect match for Don's approach to chef knives: unique, refined and always 200% utilitarian, built for demanding daily use, designed and crafted as an heirloom quality tool to be passed down through the generations. 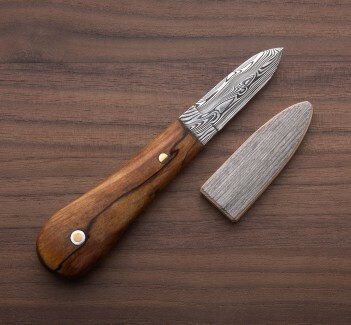 A micarta bolster adds a touch of texture to the handle and a cloth-covered protective case completes the package. 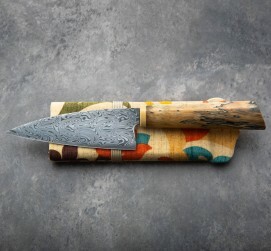 A one-of-a-kind knife from one of the best. 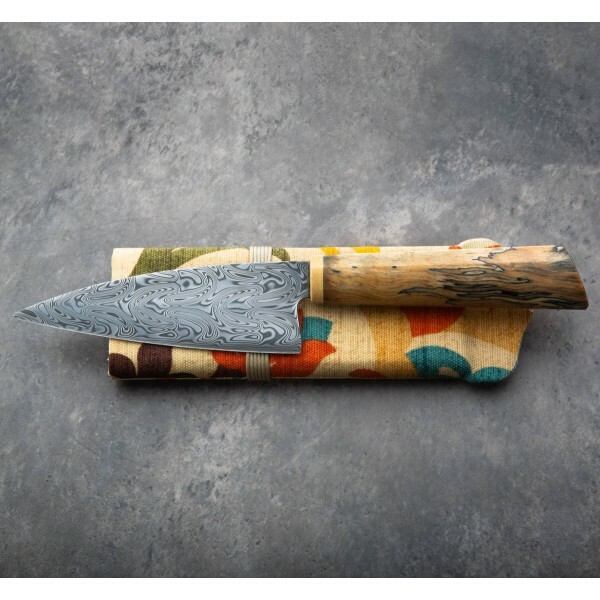 A quintessential model in Don's portfolio, the Medium French Chef is an outstanding knife designed to take on any task in any kitchen. 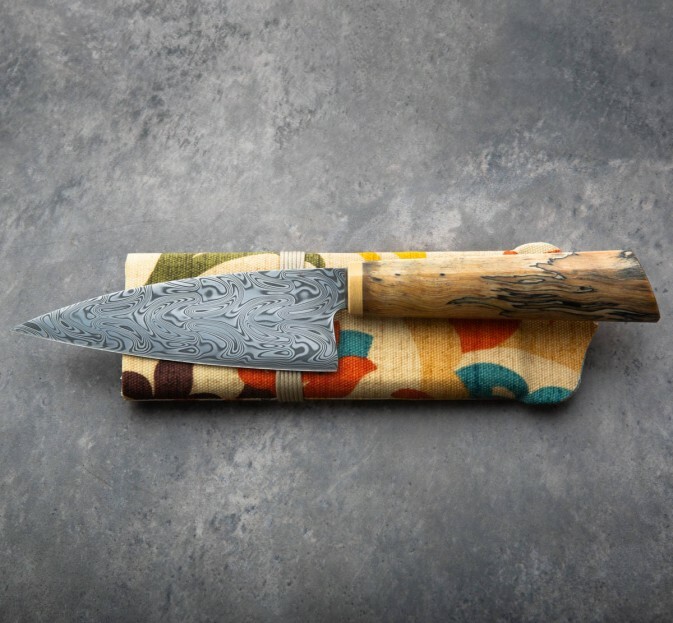 Don's time spent in the back of the house over many years informs his convex blade geometry, balance and overall approach to culinary tool making, and this is a particular knife we will never tire of. 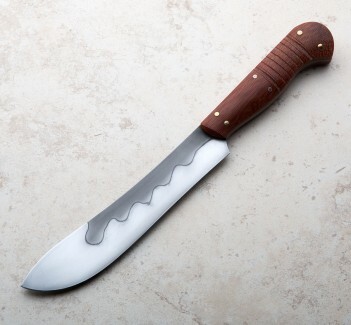 Blade length: 140mm / 5.5".  Overall length: 280mm / 11.0". Blade width at choil: 2.5mm. Blade wiidth 1" from tip: 1.3mm. Blade height at heel: 46mm. Weight: 5.0oz / 142g. 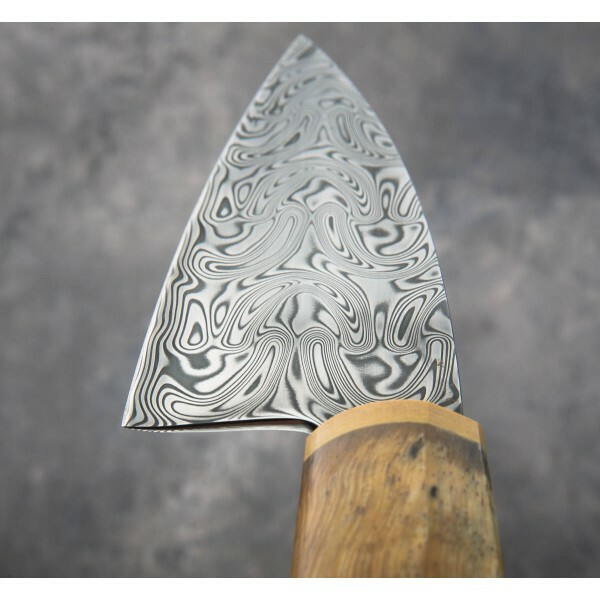 Blade: Thor™ pattern Damasteel stainless damascus. 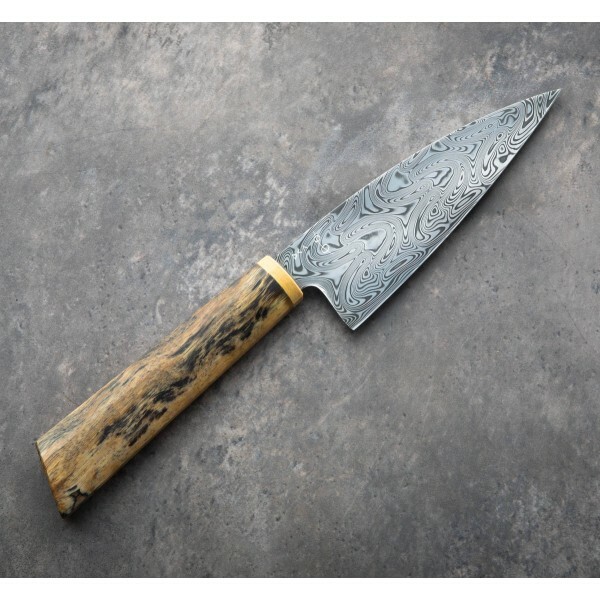 Handle: Spalted maple with micarta bolster.